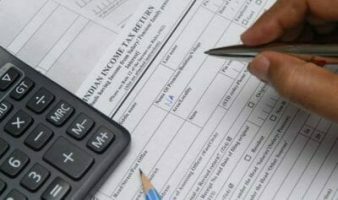 Based on discussions I have with salaried people around me, I gather that most employees believe they don’t need to file their income tax returns (ITR) if income tax has already been deducted from their salaries. Most of them assume that the TDS & getting Form 16 is nothing but their employer filing their ITR. Even retired individuals feel that as the bank has already deducted tax & given them a Form 16 on the fixed deposit interest, they are not required to file their ITR. It is not so. Filing your income tax returns and paying the tax you are due to pay are two different responsibilities and both have to be done simultaniously. You are required to file your income tax return if aggregate of all your income before deduction under various sections of chapter VIA like 80 C, 80 CCC, 80 CCD, 80 D, 80E, 80G, 80 GGA, 80 TTA exceeds the basic exemption limit. These include payment of PPF, NPS, ELSS, NSC, repayment of your home loan principal, life insurance, mediclaim etc. Section 80 TTA allows you a deduction for interest earned on your saving bank account. The basic exemption limit for the year ended 31st March 2018 is Rs 2.50 lakh for an ordinary individual, Rs 3 lakh for a resident individual of over 60 years, referred to as senior citizen and Rs 5 lakh for an resident Individual above 80 years referred to as super senior citizen. So effectively you may not have taxable income after the specified deductions or exemptions and thus have no tax liability ultimately, you still have to file your income tax return. You are also required to file your income tax return in case you are resident in India for tax purposes but own any asset outside India in your own name or have a bank account outside India or stocks or shares in foreign companies. For example if you had gone outside India on deputation or employment and had opened a bank account and forgot to close it. This applies to you even if there is no money left in the bank account there. Likewise if you have invested in shares, bonds or mutual fund of foreign companies or hold ESOPs in a foreign company which is the holding company of your Indian employer, you are required to file ITR irrespective of your income level for the year.